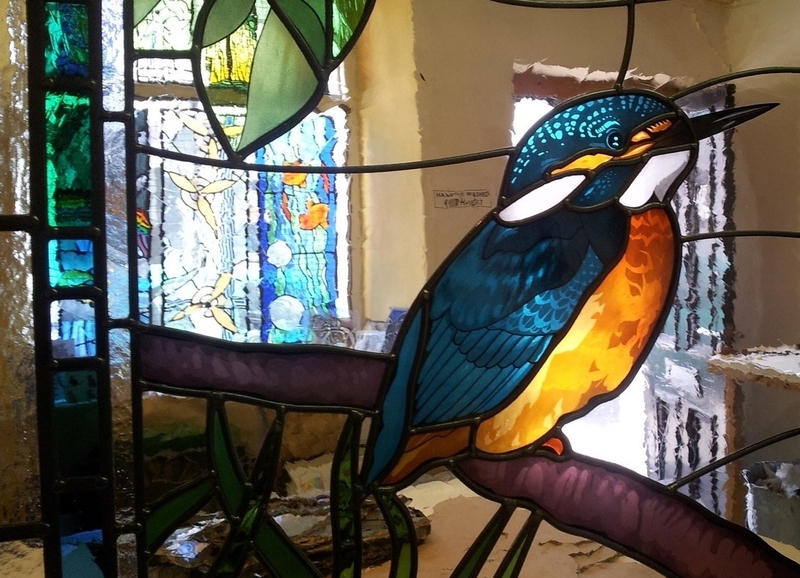 This new, large scale traditional stained glass window featuring a kingfisher, was designed and produced by Lightworks on behalf of a client based in Manchester. 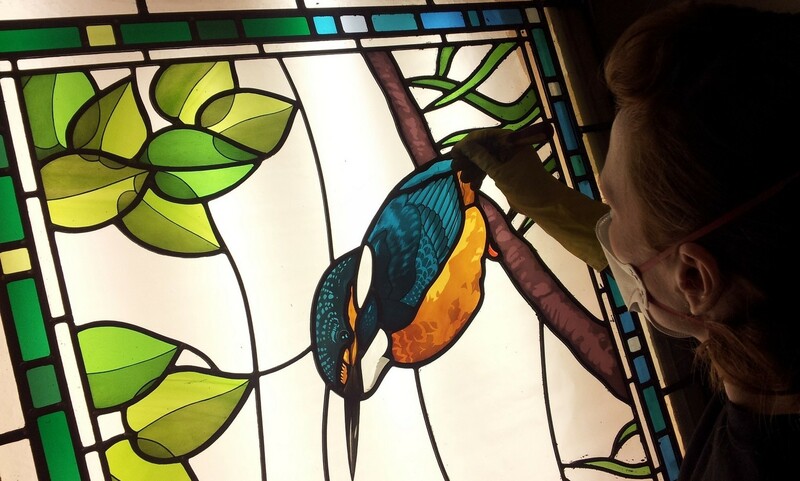 Having professed a love for the small and beautifully coloured native bird, our client was keen to have the kingfisher take pride of place within a large feature window to be situated on the first floor landing above the front door of their newly built private residence. While including other requested visual elements of a traditional riverside scene, specifically a butterfly and iris flowers, a key requirement of the brief was to maximize light transmission through the use of as much clear glass as possible. Measuring approximately 1250 x 1100mm, on completion the window was encapsulated into a specialized double glazed unit providing additional sound and heat insulation and security. Currently being held in storage, the window will be installed by Anglezarke Designs, the specialist glazing solutions company responsible for overseeing the glazing of the build as a whole. Our images show the kingfisher in detail with natural lighting, and a section of the panel being cleaned on the studio light-box. We will be taking finished shots of the panel as a whole insitu as soon as installation has been completed.